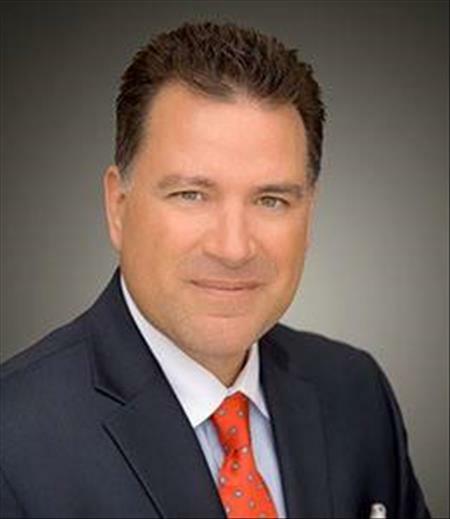 A trusted name in the Silicon Valley Real Estate housing development market and the Commercial Real Estate market, Steve Becerra brings over thirty two years of solid experience to the table for every client and every negotiation. Professionally trained and certified as an expert negotiator, Steve brings a wealth of knowledge and experience to the transactions for each and everyone of his clients. This is why hundreds of real estate customers have turned to Steve for their property needs, and continue to return when new oppotunites arise. Steve's association with Intero Real Estate and Intero Commercial brings his professional expertise to the area's most sophisticated and technologically-advanced marketing firm --one specializing in distinctive properties and estates. It is his vast experience and knowledge in commercial real estate that it has placed Steve the leading role of the formation of Intero Commercial. As the driving force in Intero Commercial, it is quickly becoming the new wave of commercial brokerage combining technological marketing, global contacts and deep experienced and knowledgable commerical agents. It is becoming the power behind this new age commercial brokerage. As well as his professional know-how in servicing the individual needs of commercial real estate clients, Steve also leverages his strong background in real estate development. This includes over twenty five years of experience building luxury custom homes for all kinds of clientele. He also has a background in land sales and acquisitions for national and local builders -- with a scope of experience ranging from site analysis and entitlement processing to land planning. It is his knowledge of what constitutes a truly quality home, combined with what buyers need in a negotiation that makes Steve a valued partner in the purchasing process. Mr. Becerra has been the exclusive Broker for international clients in the acquisition of major Hospitality Investments. His scope involved acquisitions, negotiations, coordinator of due diligence and all closing aspects. On a professional level, Steve has served on seventeen committees and task-forces for boards ranging from the Santa Clara Valley Board of Realtors (formerly known as the San Jose Real Estate Board) to the Silicon Valley Association of Realtors ( formerly Los Gatos-Saratoga Board of Realtors). His membership list includes professional organizations such as the National Association of Realtors, California Association of Realtors, ISIS (Japan Association of Brokers) Farm and Ranchers Association of Brokers, and South County Association of Manager Brokers. As an active member in his community, Steve has served on several non profit boards. Most recently he was appointed and served as Chairman of the Board of Directors for Family Supportive Housing, a homeless shelter catering exclusively to families. As Chairman of the Board, he lead the drive on a $16 million dollar Capital Campaign to fund and develop a new 35000 square foot family shelter. The project was a Leed Silver Certified Building and has become a model across the nation. Steve is also the exclusive Broker for several large investment firms from Beijing and Shanghai. Steve is an avid fisherman and hunter and enjoys water sports. His hunting excursions have taken him to all corners of the globe including South America, Europe and many parts of the United States. As a practitioner of Martial Arts for the pasts 40 years, Steve feels that his training in Martial Arts is one of his biggest assets in his career. Developing integrity, honor, discipline, and attention to detail are all characteristics he employs daily in his career. Even after obtaining his second degree Black Belt over 20 years ago in Tae Kwon Do, he still considers himself just a student of the art. As a Real Estate Broker, Steve has sold $1 billion in sales and acquisitions.